Come Enjoy Educational Lectures at our Pavilion. 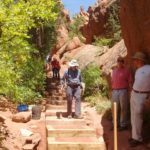 Join Friends of Red Rock Canyon Open Space to conduct trail work in Red Rock Canyon Open Space. Workdays will be the second Thursday of each month from April through October. from 3:30 to 7:30 pm. Volunteers will meet crew leaders at the Red Rock Canyon Parking Lot (3550 W High Street). From the roundabout at the entrance, proceed straight through the first stop sign and continue to the gravel picnic area lot in the rear. These will be small crews limited to 12 people including crew leaders. Please wear closed-toe shoes, long pants, long sleeves, and work gloves. Bring snacks and water. Work will consist of general trail maintenance including corridor clearing, repairing water diversion structures, drains etc. Volunteers must sign up through CERVIS, the city’s volunteer website. Listed below are the dates and CERVIS registration links for each of the workdays. This is a citywide BioBlitz in which we will be participating on April 26-29. Over 100 other cities on six continents will also be participating in this. Essentially this program invites citizens to get outside, find wildlife, plants and insects across the city, take photos of as many species as they can find and upload them into a website so we can categorize all that we discover. More information can be found here. 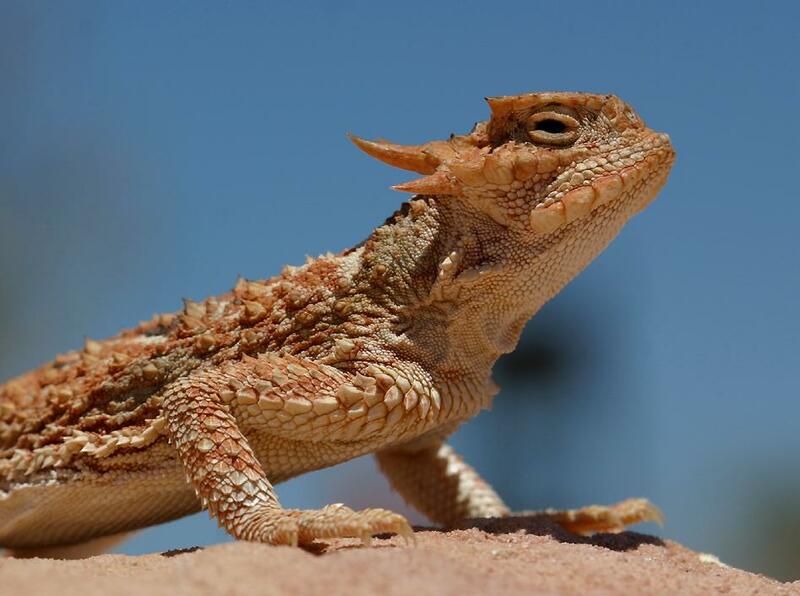 Red Rock Canyon Open Space will also conduct a Bioblitz in July to identify flora and fauna in our park so stay tuned! Click on the link above to make a secure contribution to Friends of Red Rock Canyon via Paypal. Your generous contributions enable us to continue our conservation efforts in our beloved Open Space. Thank you for your gift. Lost and found items can be claimed at the Parks, Recreation and Cultural Services Office at 1401 Recreation Way. Bristol Karma Hour will be April 9 at Bristol Brewery. 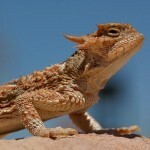 Red Rock Canyon Bio Blitz will be July 19-21. 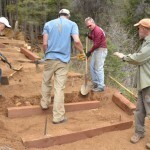 Six new TOPS rangers have been hired and started work Feb 25. 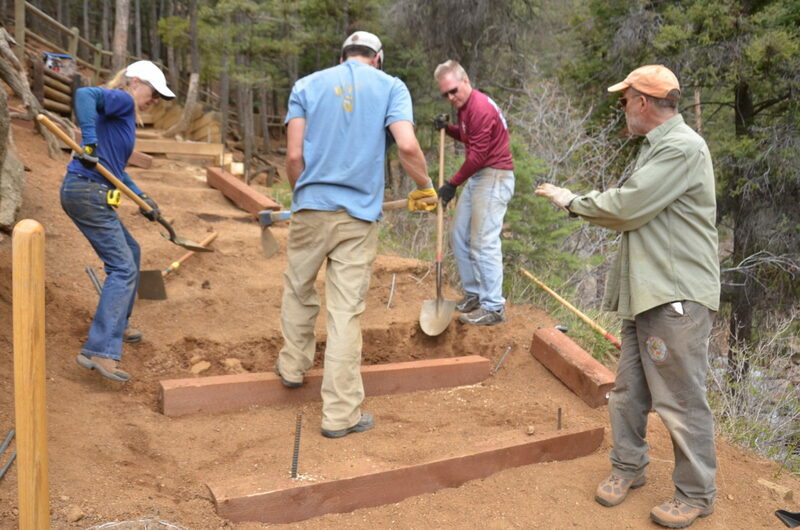 Possible trail building days with Medicine Wheel on a new/re-route of the north end of the ridge trail. Aaron Rodgers from the Trails and Open Space Coalition (TOSC) visited with your Board of Directors recently and offered a multitude of services to our Friends’ group, to include help with social media, promoting events in the park and other assistance we might require. We discussed bilateral communication as an important aspect of our relationship with TOSC. Thanks to Aaron and TOSC for their support. Britt Haley, City of Colorado Springs Parks, Recreation and Cultural Services Parks Development Manager and TOPS Program Manager also visited with your Board and provided some interesting updates for us. The City made its final payment for Red Rock Canyon Open Space in 2018. It’s ours! Stay tuned for more updates as they occur! We attempt to keep our users informed about activities in the park, both good and bad. Unfortunately we must report some recent vandalism in Red Rock Canyon Open Space. 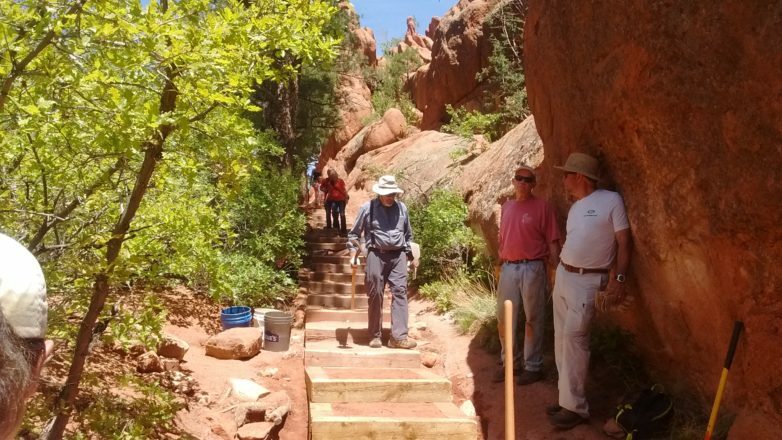 The Board of Directors of our Friends Group devoted an evening in July to closing off a rogue trail by installing fencing, a sign and putting large rocks in the trail. The trail was closed because among other reasons, it is very close to a sensitive geological area. The fences have been taken apart (since repaired twice) and the trail reopened by vandals. There has also been graffiti placed on some of our rock climbing walls (since removed) and physical deformities etched in the rock. As stewards of this open space, the Friends of Red Rock Canyon implore all users to respect our park and to contact us or the city’s Parks Department to help with this problem. If you see something, say something! Please join us and meet our board members at our next Board meeting. We will meet at 6:30 pm on October 8, 2018 at the West Side Community Center. Stay up to date with our interactions with the TOPS Working Committee and the Parks and Recreation Advisory Board, new trails updates and other cool stuff!